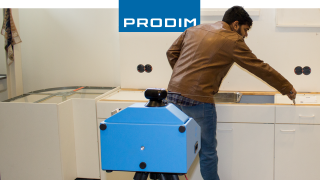 “We have done research on various measuring tools and compared the Proliner with other devices such as laser technology. The Proliner came out best, which was backed by several of our Dutch customers who use the Proliner and recommended the device. That’s why we invested in the Proliner which we are going to use for digital templating of kitchen countertops.